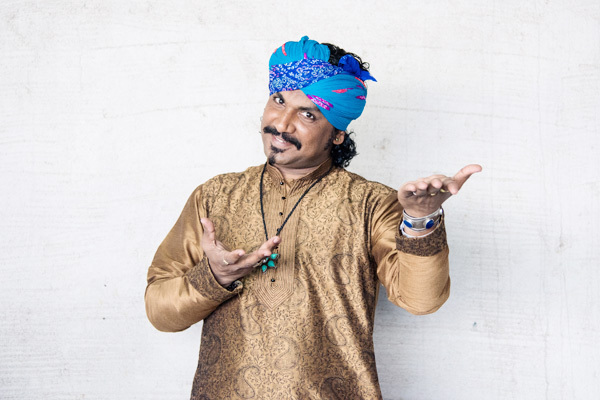 MUMBAI: One of the biggest Rajasthani folk singers, the legendary Kutle Khan will be performing at the event titled, - Sounds From The Deserts. He would be bringing all the different musicians with their different art forms, along with the ghoomar, for a live performance on 25 January 2019, at The Royal Opera House in Mumbai. Well, Kutle Khan has been a legendary musician and to know more about him and his journey, we at Radioandmusic asked him a few questions about his music career. When and how did your musical journey begin? My musical journey started from my childhood as I belong to the Manganiyar community of musicians, where music is a tradition of all families. I started learning music from my father. No journey is complete without challenges. I too faced some when I was 15 years old and went to Europe on a tour to collaborate with a band. I lived there for three months and this was my first international tour. Before this, I had never lived without my family and my own people. My academic education wasn't good and it was too difficult to understand the European culture, converse with people, understanding their style of living and many other things. But all these challenges taught me how to manage well. Can you throw light upon your growth in music? I started learning music with my own community people. I was very good at playing six to seven instruments. I started collaborating with other bands and some renowned International artists. I was a part of three to four international artists/bands for a long time, but around seven years ago I formed my own band called The Kutle Khan Project. If you can let us know about your association with ‘Sounds From The Desert’? The concept to showcase some master folk musicians/instrumentalists of the manganiyar community along with me developed my deep interest in this show. I grew up seeing them perform and learned many things from them, but we never shared the stage together, so this was a chance when ShowCase Events asked me to bring the true sounds from the Desert Live for the rest of India. Can you tell us more about your performance at ‘Sounds From The Desert’? My performance will include Rajasthani folk instruments and vocals. The entire show will have songs based on Jangra Shaili, which is the oldest tradition/form of manganiyar music. There will be a fusion of traditional instruments like dholak, morchang, kartaal, kamaycha, Sarangi, algooza with drums and keyboards to create an amazing experience. There are many upcoming projects in the pipeline in terms of creating new music with new concepts. We are focusing more on arranging music and production along with our live shows. Sounds From The Deserts will showcase the mesmerizing musical experience of Sounds From The Desert with Kutle Khan, the amazing king of kartaal and Rajasthani folk music and Bhanwari Devi a folk singer of the bhopa-bhopi community of Bundelkhand who sings traditional folk songs of Rajasthan, to create music which will bring alive the forgotten folk songs. MUMBAI: Kartik Shah and Nirali Kartik aka Maati Baani, one of the best musical duos, who has swayed people with their magical voices would be making their way at the tenth edition of TEDxGateway. The event will be held on 2 December 2018 at the DOME (NSCI Mumbai). MUMBAI: Azaadi Records Co-founder Uday Kapur has been a music journalist, covering the indie music scene for the past four years. He has covered events which include NH7, BorderMovement, BuzzFeed Longform, Rolling Stone, and Tehelka. Cityhaze India, a three-year-old band that started in 2015, has shared the stage with some of the most reputed artists in the country. They have performed over a dozen gigs, both, in and outside Mumbai. MUMBAI: Ricky Kej, a Grammy Awardee at the 57th Annual Grammy Awards for his album Winds of Samsara, is one of the Key speakers at the eighth edition of TEDxGateway which is scheduled on 4 February 2018 in Mumbai.